Ladies, Gentlemen, Everybody. Allow me to present unto you....KOTW (III)! Most Recently Alex, and before him, Louis, have both run successful incarnations of this great competitions, but these incarnations have since passed, consigned to the depths of time and archiving, lost in the depths of FMScout's thread history. But no more! From this day forth, Kit of the Week makes it's return! Rejoice! Make Merry! Do whatever it is you people do, for now, all graphics creators on this site can once again pit themselves against each other to battle for....bragging rights? • The kit must be fantasy in some way. You can use the same sponsor and brand, for example, but you cannot make an exact copy of a previous kit from that club. • You can only submit one entry for the one week. • In your set, you must use the same brand and the same sponsor on each kit, but you can change to a different version of the brand or sponsor's logo. • For your home kit, you must use the club's traditional colours and design (For example, Celtic's green and white hoops). For the away and third, you can go crazy with whatever colours you want. • Don't show anybody else your kits or it'll ruin the element of surprise to the poll. • Every kit must be a separate image. • Save your kit with no background and no pictures around it. Just a kit on nothing. Monday: The Team for the week will be posted, so you can begin creation. 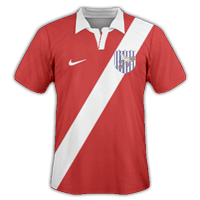 Wednesday: Your Kits will be due by 5pm (GMT) Every Wednesday. 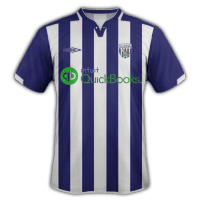 West Bromwich Albion Football Club, also known as West Brom, The Baggies, The Throstles, Albion or WBA, is an English professional football club based in West Bromwich in the West Midlands. The club was formed in 1878 and has played at its home ground, The Hawthorns, since 1900. Albion were one of the founding members of The Football League in 1888 and have spent the majority of their existence in the top tier of English football. They have been champions of England once, in 1919–20, but have had more success in the FA Cup, with five wins. The first came in 1888, the year the league was founded, and the most recent in 1968, their last major trophy. They also won the Football League Cup at the first attempt in 1966. The club's longest consecutive period in the top division was between 1949 and 1973, and from 1986 to 2002 they spent their longest ever spell out of the top division. The 2014–15 season is their ninth season in the top flight since 2002. The team has played in blue and white stripes for most of the club's history. 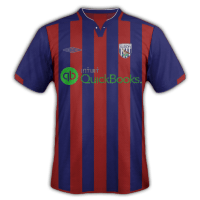 Albion have a number of long-standing rivalries with other West Midland clubs; their traditional rivals have always been Aston Villa, though rivalry also exists with Wolverhampton Wanderers, with whom they contest the Black Country derby. It's back for a third time! Don't worry, it's here to stay! With two solid kits, Zed, graphic maker extrodinare, took first place with five votes. Two solid kits, manufactured by Adidas, and sponsored by Fly Emirates, Zed's kits where enjoyed by many, and he is a deserved victor! In spite of some issues with varying kit manufacturers and sizes, Zap comes third, with three votes: another solid set of kits, and overall some solid entries. For next week's Kit Of The Week competition, the club in question will be Paris Saint Germain: see post 1 for rules, and please make sure everyone sticks to these - failure to do so will result in you being asked to resubmit your kits, or, eventually, disqualification from this week's competition. A home and away will be sufficient, although if you want to submit a 3rd kit, do feel free. Kits must conform to the rules set out in post one, and can be either 180x180, or 200x200. Not sure if I'm being dumb here but where do we submit the kits? Is it this thread or a specific one. 2014-09-30 18:03#195349 Goonerous : Not sure if I'm being dumb here but where do we submit the kits? Is it this thread or a specific one. 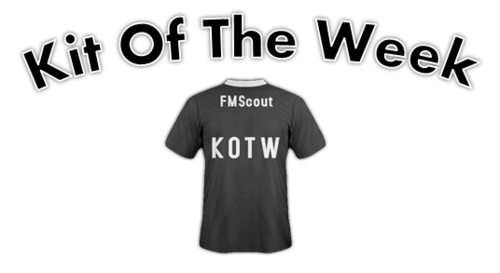 You are reading "FMScout's Kit Of The Week (The Third)".